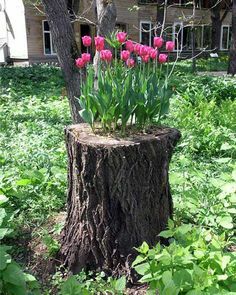 I almost wished that I had an old stump in my yard. I love this idea, and it is so pretty with all of the green around it. I would love to see your unusual planters that you have used or taken pics of.